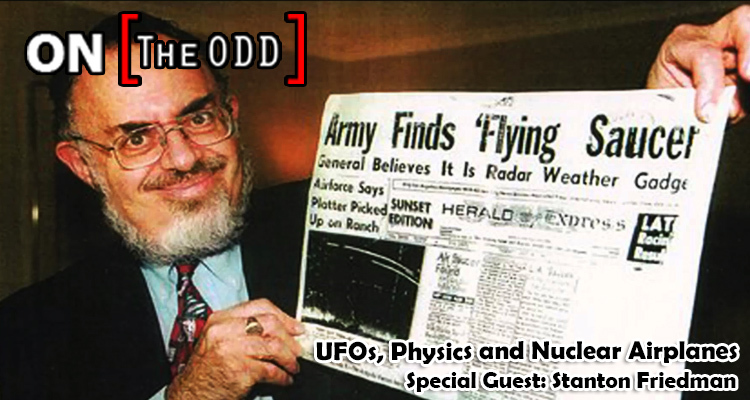 Mark and Alex have the rare honor of welcoming Stanton Friedman to the show. Stanton T. Friedman received BS and MS degrees in Physics from University of Chicago in 1955 and 1956, where Carl Sagan was a classmate. He worked for fourteen years as a nuclear physicist for such companies as General Electric, General Motors, Westinghouse, TRW, Aerojet General Nucleonics, and McDonnell Douglas on such advanced, highly classified, eventually canceled projects as nuclear aircraft, fission and fusion rockets, and nuclear power plants for space. Since 1967, Friedman has lectured on the topic of UFOs at more than 600 colleges and over 100 professional groups in 50 states, 9 Provinces,England, Italy, Germany, Holland, France, Finland, Brazil, Australia, Korea,Mexico, Turkey, Argentina, and Israel. Often referred to as the “Father of Roswell”, Stan was the first to investigate the incident beginning in 1978. He has been investigating UFO incidents since the mid 1950’s.